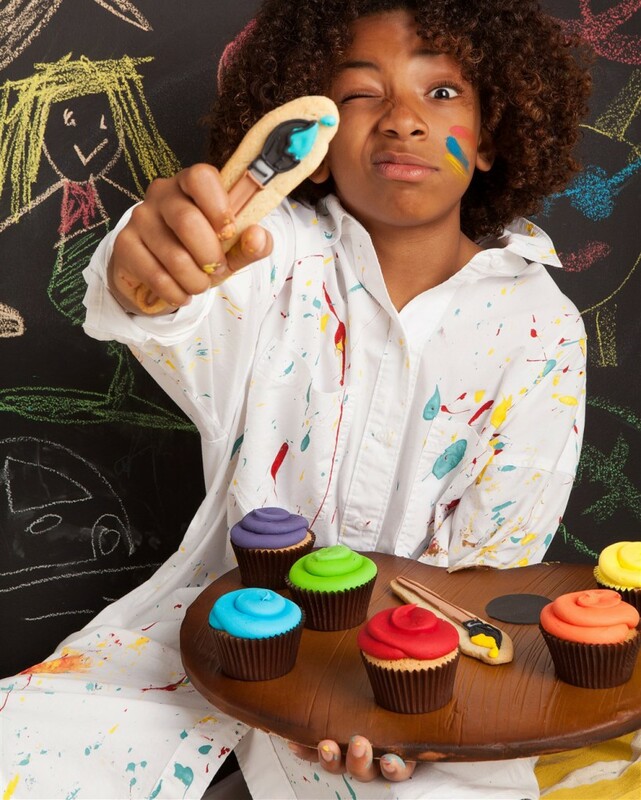 Got a creative genius on your hands? 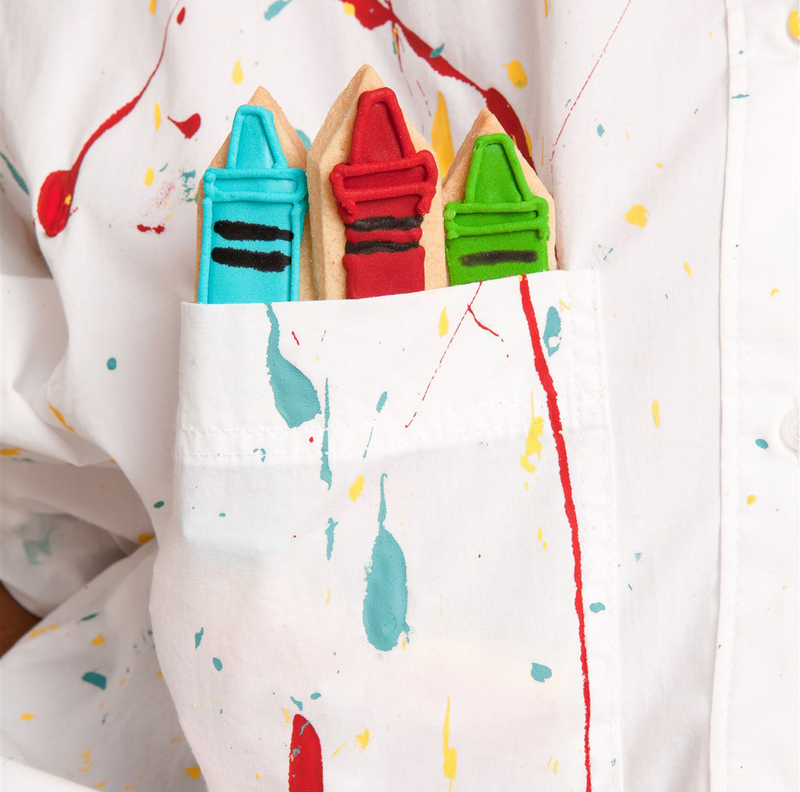 Is your little one happiest with a pot of paints and paper? 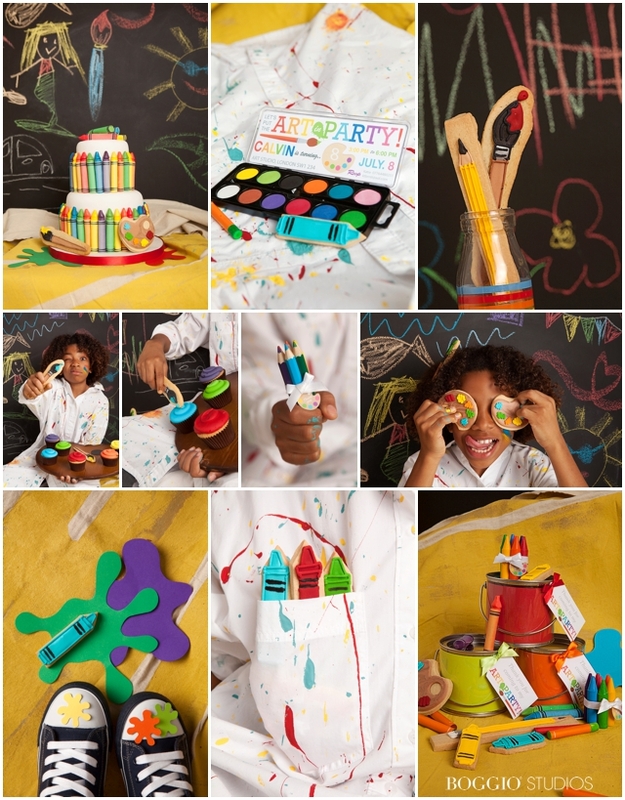 Why not theme their birthday around this colourful hobby with an Artist themed party? The colour scheme can be as bright and colourful or muted and pastel coloured as you wish to suit the look you are after. 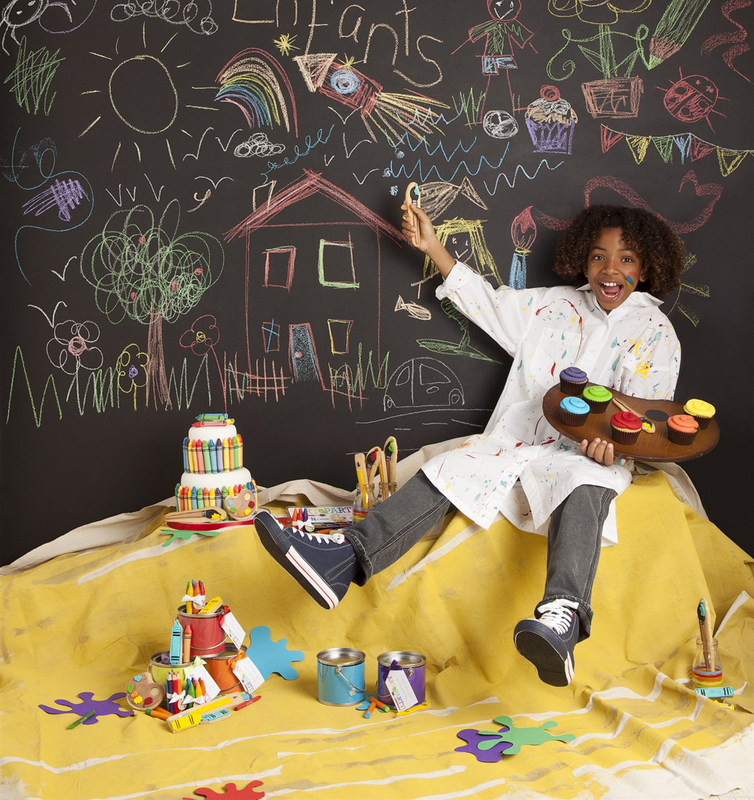 We chose vibrant primary colours for this shoot to suit both boys and girls and because if we were painting, we’d want it to be bold and beautiful. 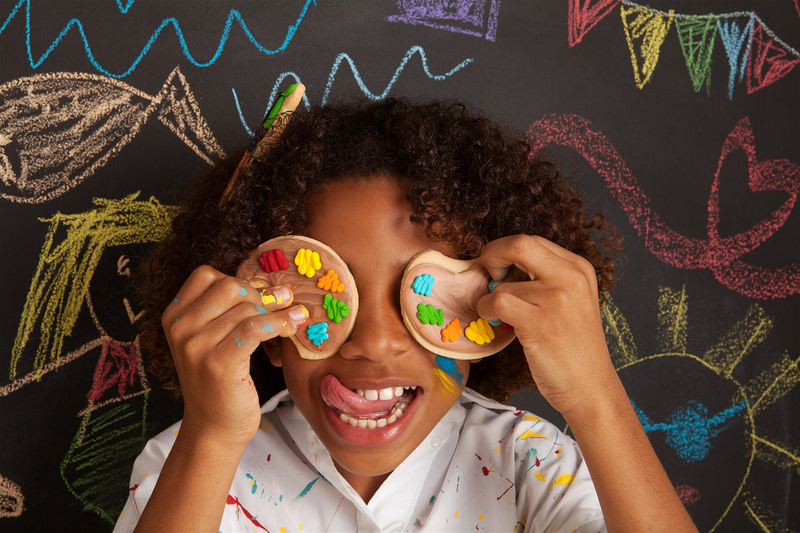 There are plenty of places and party venues that are geared up to host a gathering like this as let’s be honest, not many of us would be brave (or silly) enough to let a loads of kids lose with paint brushes and glue in our own homes! One such place near us in Southfields is Crafted which comes highly recommended from lots of my mum friends. 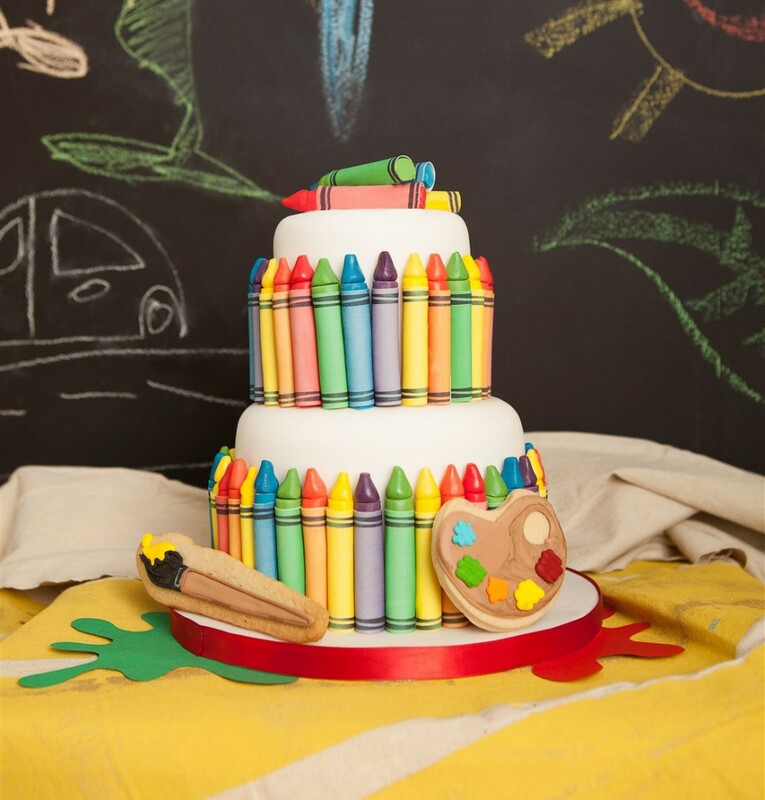 I can totally imagine a set up with a beautiful Crayola crayon cake such as ours ready to be tucked into after the little ones have created their own masterpieces. 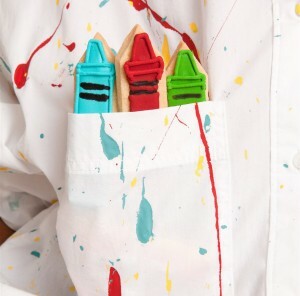 Why not send them on their way with a little tin of paints like the ones from Les Enfants below and some edible cookie paint brushes and pencils. So cute and don’t even get me started on the coolest party bag paint tins. They are amazing! There are so many different options for cookies. These artist palete cookies look so sweet! Check out the artist palete cupcakes assortment. Different coloured buttercream looks exactly like paint splodges on an artist palete-very cost effective way of doing a cake. Each cupcake is £3 and you’d get one for each child so no wastage and no cake cutting mess. 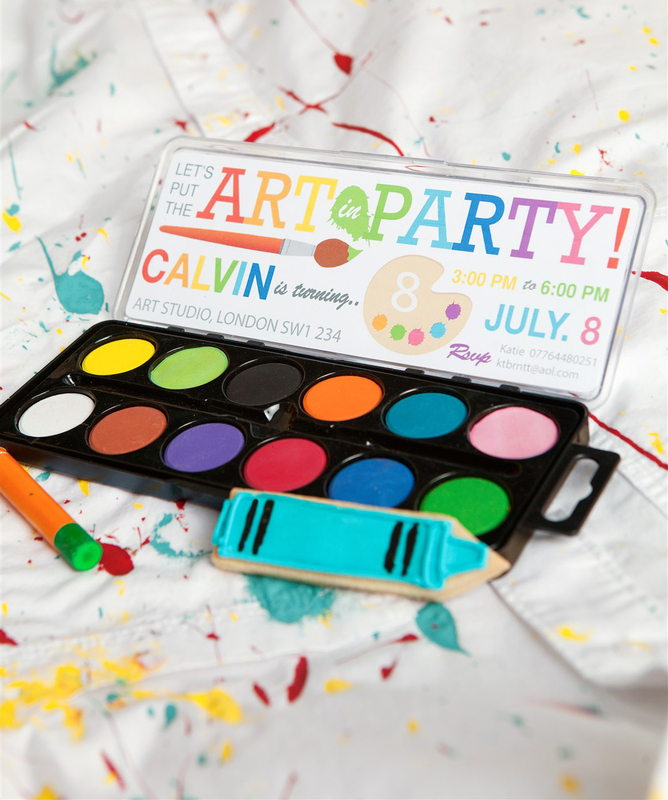 Such a cool way of doing a party invitation-lucky Calvin!